In World War II in Europe, a key to victory over the Nazis was the strategic bombing of factories and industrial sites. In the early part of the war, that process wasn’t going well. Losses of bombers were excessively high; on October 14, 1943, for example, a raid on ball-bearing factories in Schweinfurt resulted in the loss of 77 airplanes and 650 aircrew killed or captured. Rob Connelly, former vice president of additive manufacturing for Proto Labs, now retired, owns and flies an outstanding example of the breed. 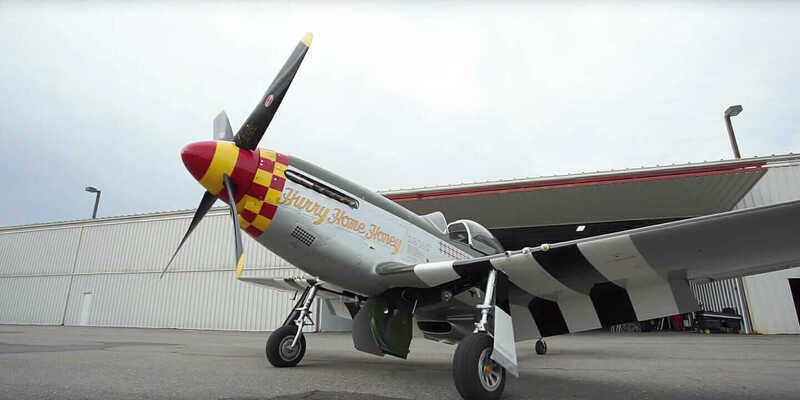 His is a pristine 1944 P-51D named “Hurry Home Honey.” It carries the unusual name for a reason: it was once flown by Major Richard Peterson, a highly-decorated World War II triple ace with 15 and-a-half victories and 150 combat missions over Europe. 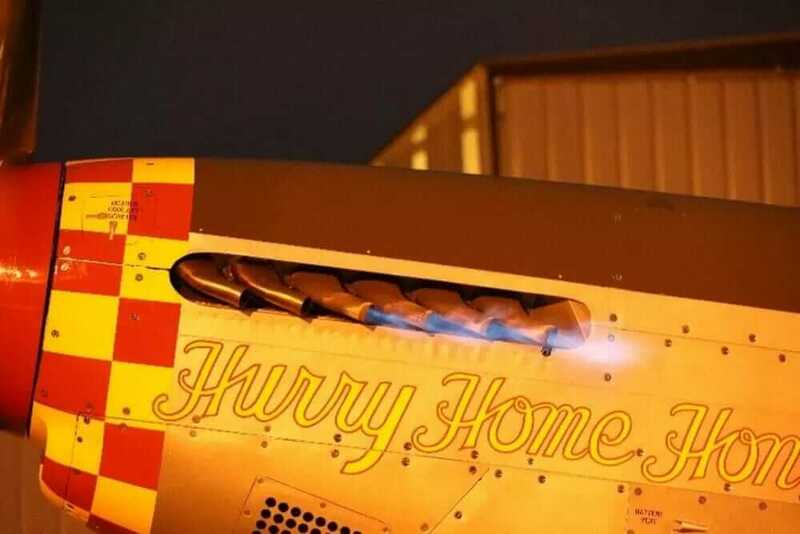 Peterson’s girlfriend Elaine ended each letter with the expression, “Hurry home, honey,” and so the Major added it as “nose art” to his aircraft. The combination of the aircraft’s historical significance, high performance, and rarity make it a historical artifact, but this is no museum piece: Connelly flies the aircraft regularly. Rob Connelly works on his 1944 P-51D fighter plane. “The engine’s putting out 1,500 horsepower, so there is tremendous wear and tear,” noted John Murray, president of Concept Laser Inc., which General Electric has recently acquired to form a division called GE Additive. He is also a friend of Rob’s, as well as a fellow pilot. To answer this question, Murray decided to use the replacement project as a test case in end-to-end advanced manufacturing, from 3D scanning and rendering to SLS part production, part finishing, and validation. The Concept Laser team began by examining the original stainless steel part. The stack represented typical 1940s technology: a machine flanged combined with two formed sheet stainless clamshells and a clamp ring in a hand-welded assembly. The original offered dimensional data, but little else. An original exhaust stack part for the P-51D—originally constructed from stainless steel. Concept Laser’s renderings of the exhaust stacks. An original exhaust stack part (left) and a new 3D-printed replacement. Murray described how Concept Laser approached the build. “At first, we look at the part orientation; you’re trying to reduce the number of supports you’re going to have and where they’re needed to optimize the build. In this instance, we built two parts at one time, with supports on the down-facing surface and no supports going up vertically through the exhaust stack. 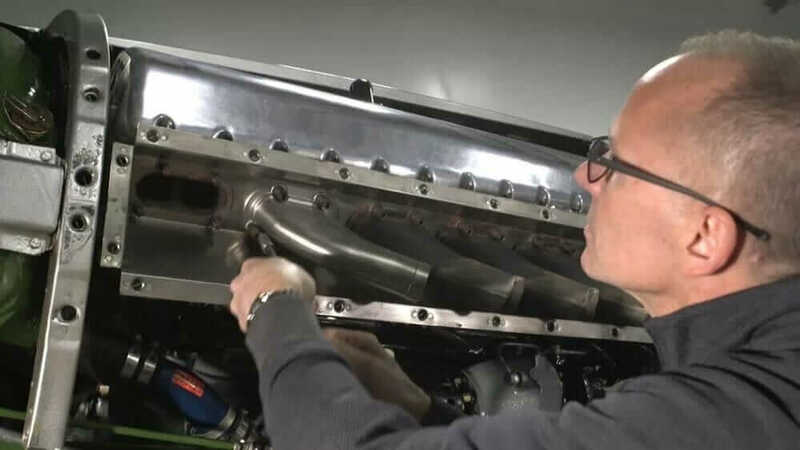 The 3D-printed exhaust stack is fitted to the P-51D. “That worked out beautifully, because we were going to finish machine the base anyway since that’s the surface that mates to the aircraft. 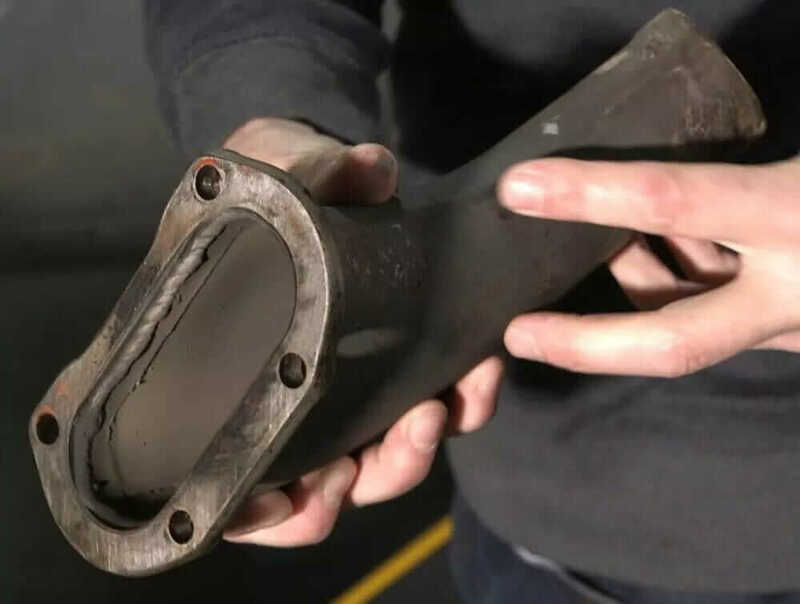 These are the kinds of things you’re thinking about when you’re orienting a part: where these supports are going to be, what’s easiest to remove them, what features are going to be post-processed hit with EDM or machining,” Murray said. Concept Laser built two exhaust stacks in two days on their M2 cusing platform, which has approximately a 10” x 10” x 10” (x,y,z) build volume. Murray considers the stack a simple part, made from a straightforward stainless steel material. Concept Laser does, however, build from a wide variety of metals, including many of the exotic aerospace superalloys, such as the Inconel grades often used in jet engine hot-section components. The P-51D’s exhaust stacks in action. In pushing those limits, additive technology is quickly racing ahead of regulatory bodies such as the FAA in many applications. 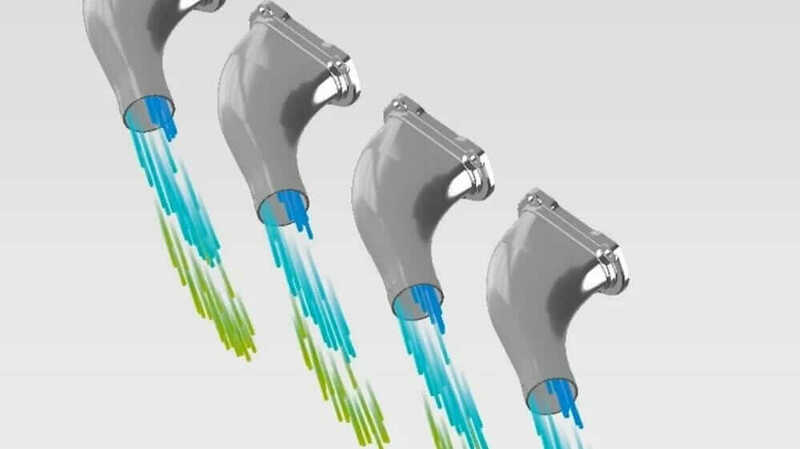 Murray predicts that the recently certified GE jet engine fuel nozzle and Airbus’s experience with airframe components will open a flood of flight-ready 3D parts, each of which will require certification for production aircraft. “I think it’s only going to accelerate. Since they’ve given certification on the GE jet engine parts, that’s a huge step forward,” Murray said. 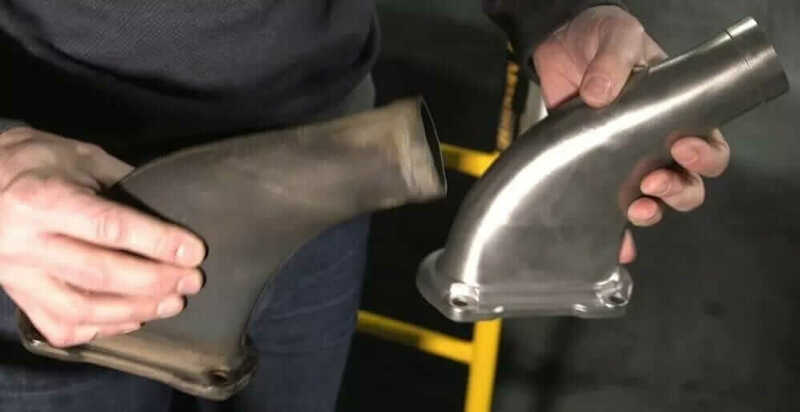 The stainless steel Mustang exhaust part is a good example of why metal additive manufacturing is unbeatable in many critical applications. Although built with a conservative material, the 3D part is stronger, more durable, reduces the part count from four parts to just one, and flows exhaust gases better than the original. And with no need for custom tooling or fixturing, it’s considerably lower in cost than short run or one-off production for this rare application. These planes have not been produced since the 1940s—the aircrafts themselves and the parts for them are rather scarce. “Often, they’re waiting a long time and paying a premium. Fast forward to the future with 3D printing, and we can scan all these components in, refer to the original drawings that were used to create them, and create three-dimensional databases. We’ll be able to pull from those data sets to make components in the future. It’s definitely within the realm of possibility,” Connelly said. Like Connelly, Murray carries a dual passion for aviation and additive manufacturing technology, and he agrees that there are few limits to widespread application of 3D printing in the highly conservative, safety-driven aerospace industry. Article by James Anderton. A version of this article originally appeared on engineering.com.